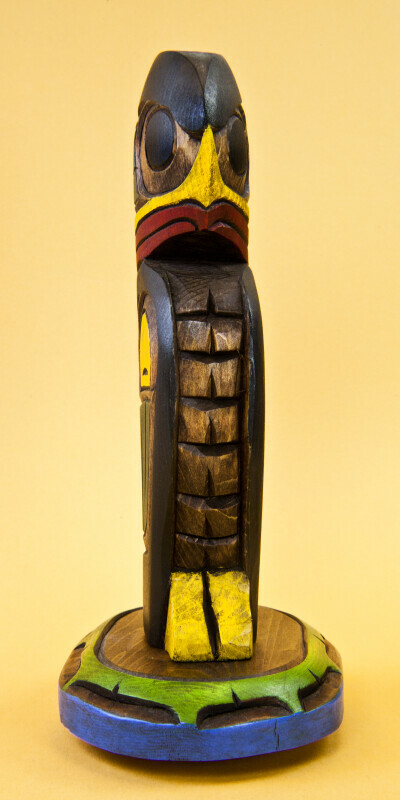 Carved wooden eagle that is painted in primary colors. Signed: "Kwakiutl Eagle. Alex Wibboe." The Kwakiutl First Nation is located on northern Vancouver Island in British Columbia, Canada. The figure stands 8 inches (20 cm) tall.